In 1939, Semyon Kirlian discovered that it was possible to create photographic images demonstrating the “life force” which is manifested as an individual’s aura. Other Russian scientists have proposed that the earth’s surface is covered with a series of interconnected nodes much as acupuncturists view the human body as a network of energy centers. On Saturday, March 20, my fellow Visionary Maja D’Aoust, “White Witch of Los Angeles,” led Esotouric’s “Maja’s Mysteries: Rapture & Release” bus tour. Over a period of four hours, we visited a number of locations which I would describe as “psychic hot spots.” So, what is a psychic hot spot? This has to be my definition because, to my knowledge, no one else has used this nomenclature. Let me describe some of my personal hot spots. When I get off the subway at Lenox and 135th Street in Harlem, I feel an incredible surge of energy rise from the soles of my feet to the top of my head. At the Capitoline Museum in Rome, I have discovered an 1800-year-old marble bust that could be my portrait. On my only trip to the souk in Fez, Morocco, it all looked familiar. I knew that I had been there before. After discussing these experiences with Maja, she concurred with my perceptions. Following Maja to a number of locations, mostly around Hollywood, I knew that I was moving in and out of psychic energy fields. On the surface, each one appeared to be a conventional Los Angeles location; however, I knew that there was something special to be explored at each location. Here is a recap of the highlights from my point of view. Perched above the Hollywood Freeway, one is transported into the world of a sanctified Eastern religion with the peace and quiet that it embodies. “Vedanta teaches that man’s real nature is divine, that the true object of human life is to unfold and manifest this divinity, and that truth is universal.” Here one finds a temple, a convent, a monastery and an outstanding bookstore devoted to Eastern religions. “The Cosmic Teachings of The Aetherius Society were given by Masters from Beyond this Earth, operating mainly within our own Solar System and speaking through yoga Master Dr. George King.” We saw a video projection of Dr. King taking us on a terrestrial journey. Unfortunately, I slept through most of it. This recalled a similar somnambulist experience when I was in a graduate school art history seminar. When the lights came on, my professor pounded the table yelling “Mr. Schoener we don’t sleep in my classes.” I should have apologized to our hosts, but was too embarrassed. The finale was a visit to the Parsonage of Aimee Semple McPherson’s Foursquare Angelus Temple (1801 Park Avenue, Los Angeles, 90026). Our guide, Jackie Muller, never actually met Sister Aimee, but she provided a knowledgeable and impassioned tour of her private quarters. Hundreds of thousands of people in thirty countries became disciples of Sister Aimee’s Four Square Gospel evangelism. The first years of her ministry were spent in tents, tabernacles and auditoriums. Sister McPherson felt led by God to build a permanent headquarters in Los Angeles. The Angelus Temple, adjacent to the parsonage, opened on January 1, 1923. Together, they serve as monuments to the memory of this extraordinary person. Is Los Angeles special because of its psychic hot spots? I would definitely say so. Dwight Eisenhower was elected president in November. Richard Nixon was his vice president. America was sliding into the Cold War. Political conservatism was rampant and soon to be dominated by the rabid anti-communism of Joe McCarthy. I hid my copy of Marx’s Das Kapital in my parent’s basement hoping that it would never be exhumed. 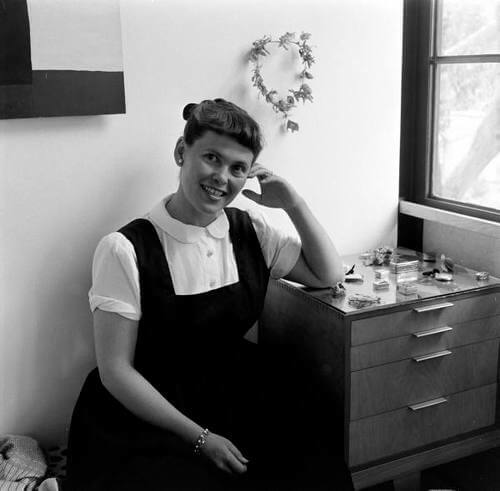 In the late 1940s and early 1950s, Charles and Ray Eames had become dominant figures in the, then, miniscule world of modern furniture design. When I first read about them in a reputable design magazine, they were referred to as “brothers.” Thanks to aggressive promotion of Good Design by the Museum of Modern Art in New York and skillful marketing by the Herman Miller Furniture Company in Zeeland, Michigan, the Eameses emerged as innovative icons among a cognoscenti of architects, designers and academics. Having been strongly influenced by relatives who, as painters and sculptors, were American inheritors of the “School of Paris,” I was seeking my own identity in the world of modern art. 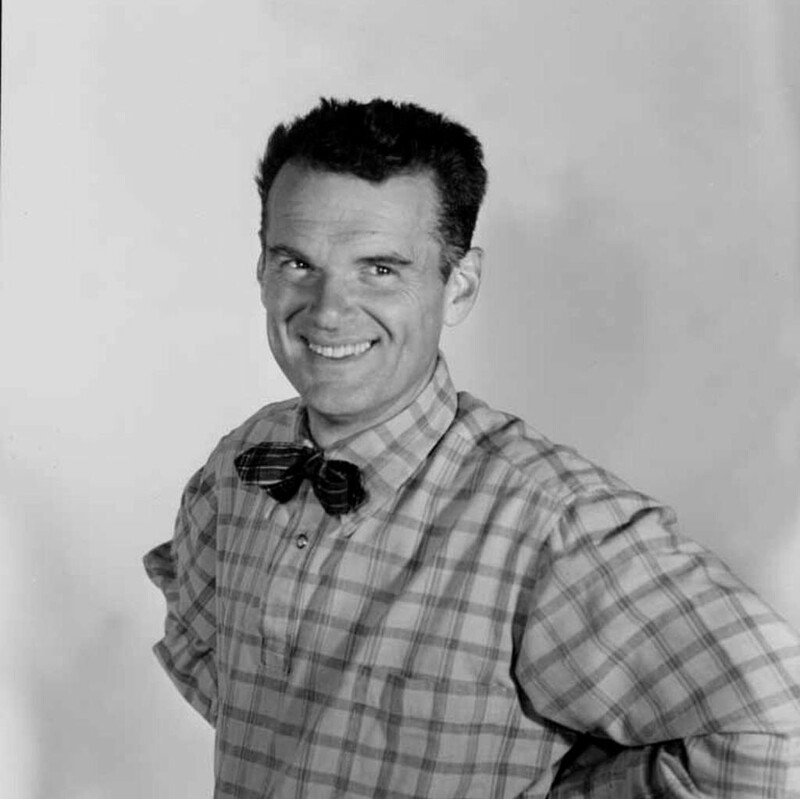 Because Charles and Ray Eames represented the future, I much admired them from a distance. Thanks to Betty Chamberlain, director of public relations at the Museum of Modern Art, I met Charles and Ray. As a member of the curatorial staff of the then-called San Francisco Museum of Art (now SFMOMA), I had originated a weekly television series. Television was in its infancy and cultural programming was an anomaly. It was apparent that TV made sense for cultural organizations because the audience for one of our TV shows exceeded the museum’s annual attendance. Betty Chamberlain informed me that she was bringing Charles and Ray to San Francisco to witness one of our TV broadcasts. Following that, I became an acolyte benefiting from their collective aesthetic sensitivities, design philosophy and personal style. How did the invitation to stay with them originate? I was invited. What did I find when I got there? Our discussion ranged across many topics. 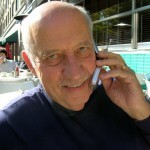 Communications theory was one of Charles’ latest explorations. Cybernetics was in vogue and block long computers were generating mountains of assimilated data. Then we got into some design issues. What he said that evening has resonated since. Charles said that “as soon as I finish a project, I can see all of the flaws and want to do it over.” At this point, Charles became my mentor. After a heady evening, I went to sleep in the guest bedroom on the second floor. When I came down the spiral staircase to breakfast, only Ray was present. Charles had gone to their studio at 901 Washington Boulevard in Venice. Ray prepared an aesthetically exquisite and equally delicious breakfast. On the small kitchen table there were flowers, Mexican candlesticks, and pure white Arzberg china. We had orange juice, soft boiled eggs, bread, pastry and jam, plus coffee. I will never forget the way that she ate her soft boiled egg. After removing the top of her egg, she inserted a sliver of bread, dipped it into the soft egg, carefully lifting it out. This is a practice which I follow whenever I have soft boiled eggs. Soon after Charles died, my wife and I had breakfast with Ray at the studio in Venice. It was a repeat of the breakfast that we had at the house years ago. In succeeding years, I stayed at the house again. We featured them in one of our San Francisco Museum of Art TV shows. When they did slide shows at UC Berkeley, I helped run projectors. We exchanged New Year’s cards. They came to New York to see my “Harlem On My Mind” exhibition at The Metropolitan Museum. I called it a “communications environment,” obviously indebted to them. When they got a Gold Medal from the AIGA, I was there. Charles and Ray were designers and perfectionists. From the moment I went up the hill to the house, I was entering a world in which total aesthetic control was dominant. Everything within eyesight was preselected and arranged to conform to their aesthetic. 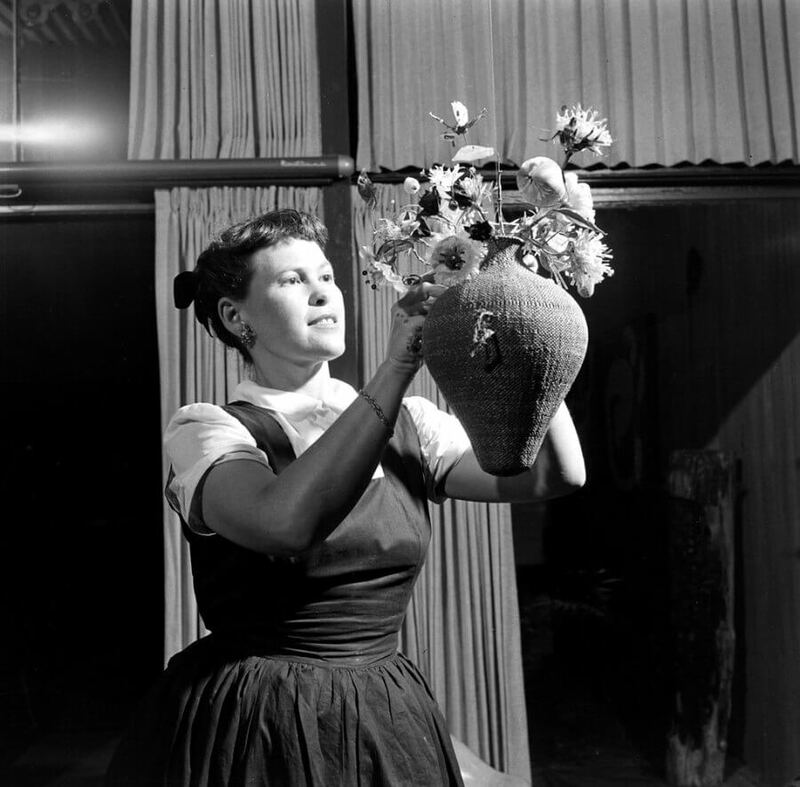 They were modernists, but traditional folk art was evident everywhere. Ray excelled in orchestrating the aesthetics of varied cultures. Their interest in the art of other cultures expanded; however, they always managed to blend it with their sense of modernism. I learned that it might be possible to imitate their aesthetic, but never replicate it. Many of my friends worked with Charles and Ray; we often discuss our varied experiences. I always come back to Ray’s soft boiled eggs as one of the most significant for me. Somehow or other, it summarizes a totality that might be difficult to comprehend. They were memorable, unique and special. I was fortunate to know them. I recommend this website as the most complete and authoritative. It is a PDF of the National Register Application for the house. As a new LA resident (I landed here on January 15, 2010), I have been anxious to learn about the downtown that I hardly knew existed. Over the years, I have visited LA on a number of occasions and developed an impression of it as a sprawling constellation of suburbs linked by freeways. It was only on my last visit two years ago that I learned that there was a real “Downtown LA.” It was a blurred memory of some 1920s multistory buildings lining Broadway and the modern monstrosities commanding Bunker Hill. Over the last six weeks, I would spend either Saturday or Sunday driving around downtown trying to make sense out of it. Much to my delight, I discovered that there was a real urban core configured around a rectangular street grid that was periodically punctuated by an expressway. When I felt safe shifting my vision to the sidewalk, I could see numerous pedestrians representing visible street life, but I could not make any sense out of it. Today, I went on the Esotouric bus tour of downtown LA conducted by Richard Schave with assistance from Kim Cooper. current prism evaluating the impacts of “urban renewal” in the 1950s and 1960s and today’s loft gentrification. Richard exposed his well informed passions and prejudices; they were cogent and convincing. When appropriate. he called on members of the tour with specialized knowledge of certain areas to speak about them. developments downtown. Broadway and the Mercantile Arcade are viable segments of a Mexican American commercial district being threatened by loft gentrification. The Mercantile Arcade lends itself to becoming a replica of Boston’s highly successful Faneuil Hall Market. If this occurs, what happens to the Mexican American merchants? On the tour, I made some comparisons with SOHO in New York. Primarily the remnants of a Civil War era industrial area, I have witnessed SOHO’s evolution over the last forty years from artists’ living/work space into a kind of Disneyland with it own Bloomingdales attracting “bridge and tunnel” people as well as tourists from around the world. I shared a fourth floor walkup space in a building at 26 Greene Street that had been owned by an Italian family for several generations. The building was sold and modernized. The ground floor is now the showroom for a Swiss office furniture manufacturer. The stairs remain as a relic of the past complemented by an elevator serving four floors of modernized lofts with price tags in the millions. This demonstrates the potential danger of converting industrial space into artists’ space and then into residential lofts. The gritty character of the neighborhood which appealed to the artists can be transformed into expensive gentrified real estate devoid of personality. This danger lurks on many street corners in Downtown LA. Having some previous experience organizing bus tours in Cincinnati, London, New York and Paris, I would give today’s tour four stars. Esotouric offers other tours; I hope to take as many as I can. It was 1954. I was a curator at the San Francisco Museum of Art assisting Frank Stauffacher, a filmmaker and critic, who ran a series of programs at the Museum highlighting the creative achievements of Hollywood directors. This was clearly an avant-garde recognition of Hollywood directors as auteurs. Among those whom Frank selected were: George Stevens, Vincent Minnelli, Rouben Mamoulian and Fred Zinnemann. Each director was invited to come to San Francisco to show selections from his films, comment on them and answer questions from the audience. Why would Hollywood giants come to San Francisco for nothing but a free plane ticket? Through his Art in Cinema series at the Museum, Frank had developed a very sophisticated ﬁlm audience. Art in Cinema presented a melange of avant-garde, classics and documentaries. There was nothing else like it anywhere in the country at that time. The Museum of Modern Art in New York had its Film Library collection which managed to place films on a par with paintings and sculpture. There were regular showings in the Museum’s basement theater and duplicate prints of some films were lent to ﬁlm societies around the country. The focus of MOMA at that time (1950s) was to acquaint American audiences with the history of modern art from the beginning of the twentieth century. In doing that, the Museum presented modern art in a context broader than painting, sculpture and printmaking. Architecture, graphic design and films were among its expanded scope. Thus, D.W. Griffith and Claude Renoir fell within its purvey, but Hollywood was off limits. Having been given the responsibility of contacting Rouben Mamoulian as a possible speaker for the Art in Cinema directors’ series, I went from San Francisco to Los Angeles and was invited to meet him at his home. Mamoulian was a highly successful ﬁlm and theater director. Typical of many directors of his era, he was a cosmopolitan European. Born in Tbilisi, Georgia, of Armenian descent, he was the son of a bank president; he spent part of his childhood in Paris and later studied at the Moscow Art Theatre. He arrived in America in 1923, later making a name for himself as the director of lavish Broadway productions including George Gershwin’s operatic version of Porgy and Bess as well as Rodgers and Hammerstein’s Oklahoma. Migrating between Hollywood and Broadway, he developed a reputation for lavish ﬁlm productions rich in color, costumes, decor and music — among them Blood and Sand (1941) with Tyrone Power, Linda Darnell and Rita Hayworth. Can I prove that Mrs. Mamoulilian’s espresso machine was the first to land in Hollywood? I doubt it, but I can assume that if there had been others available in the circles in which the Mamoulians traveled, she would have known about it. These simple cast aluminum contraptions were placed directly over the burner with chambers filled with coffee and water and heated to the point at which espresso gushed out of the coffee chamber into the waiting pot sitting below. Espresso makers have become more elaborate and complicated in recent years, when I was in Rome a few months ago, I saw variations of this espresso maker in housewares stores. As a final note, a brief history of espresso coffee makers is in order. 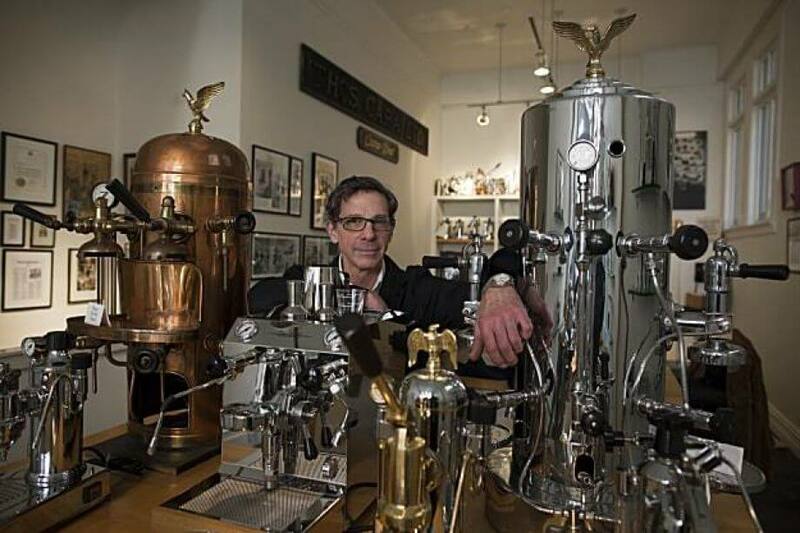 In 1901, Luigi Bezzera patented the world’s first espresso machine, a gigantic steam powered device that served as the prototype for commercial espresso makers for generations. In 1947, the espresso revolution began with the Gaggia Crema Caffee machine which made espresso a generally affordable commodity. I wonder if the Mamoulian’s heirs treasure their 1950s vintage espresso maker the way that I do mine. • An Espresso Century, an exhibition 30 of the most important commercial espresso coffee makers that has been traveling internationally since 2000.